A man's nature runs either to herbs, or to weeds; therefore let him seasonably water the one, and destroy the other. – Francis Bacon, Sr.
Homemade gifts make wonderful presents. So far this year I’ve made more liqueurs than I can remember as well as two vinegars: Blueberry Tarragon and Tarragon alone. The Blueberry Tarragon was a revelation. Wow. a little green. This is the tarragon vinegar. 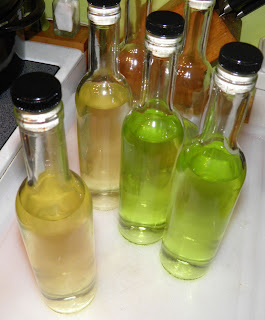 These two vinegars were nearly identical in colour so I opted to dye the basil to keep them straight. Mixing up one for the other would be a surprise, for certain! I've already purchased some small wooden boxes for Christmas giving. A couple vinegars or liqueurs and some preserves hopefully will make a really nice gift. 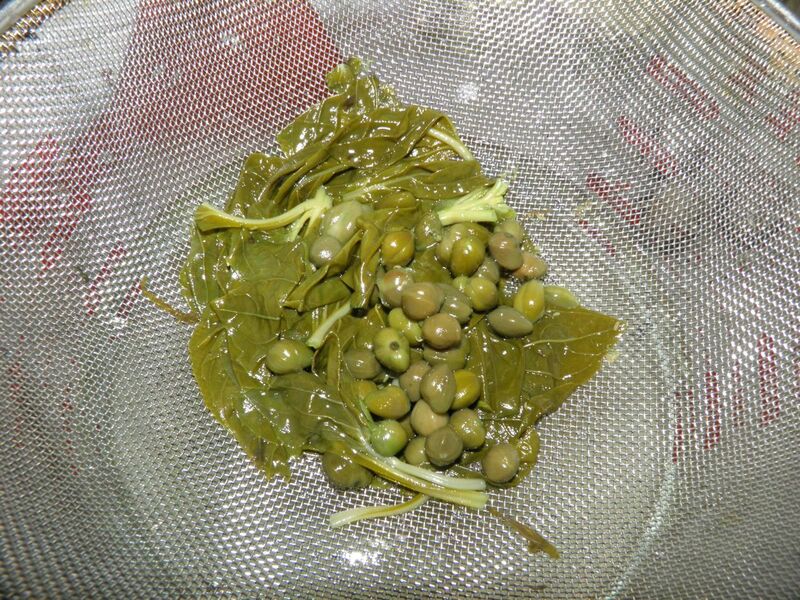 The Basil recipe (Aceto al Basilico) calls for capers. They do actually make a difference in the end product. I wouldn’t leave them out. You can get perfectly good ones at the Dollar Store believe it or not. In the grocery you pay upwards of $3 per jar. This vinegar is wonderful in a vinaigrette for anything that benefits from an extra basil burst, like a tomato, mozzarella and basil salad. 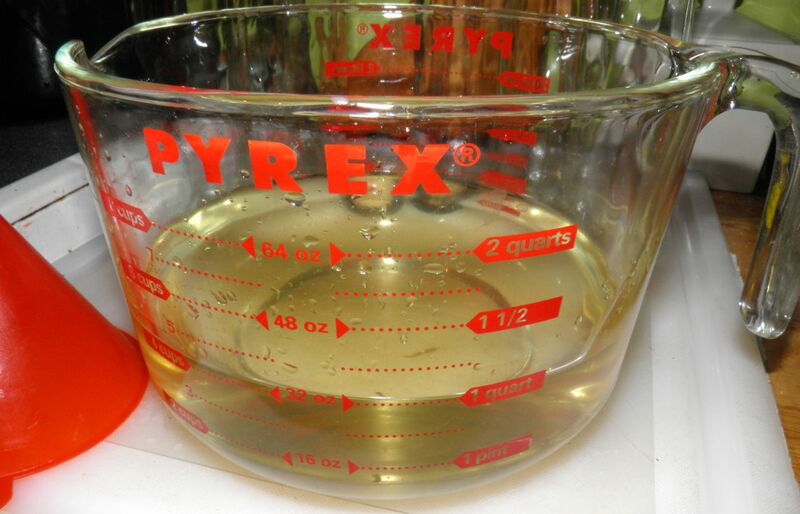 This vinegar also goes well on vegetables or fish. I have a new recipe that I am thinking of trying. Tarragon vinegar is used for Béarnaise sauce for steak or eggs. There’s no real reason why a similar sauce couldn’t be crafted using basil in place of tarragon. I may just do that…but I'm still trying to figure out how to use it! The noise we all just heard was Auguste Escoffier rolling over in his grave. Tarragon on the left; dyed basil on the right. Sterilize a 1 L Mason jar. 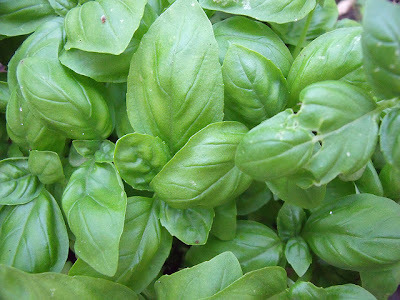 Rinse the basil leaves, pick out any bad leaves and pat the rest dry. Place the basil in the jar. Bring the vinegar and sugar to a boil, add the capers and simmer for 1-2 minutes. Remove the pot from the heat and pour the vinegar and capers over the basil. Seal the jar, place out of direct sunlight and let infuse for 2-3 weeks. Shake the jar periodically. At the end of the time, strain out the basil and capers. * At this point I added food colouring. I did this because the vinegar was very pale, and I was making tarragon vinegar at the same time (see picture at left). It was partly an esthetic and partly a practical reason. You can omit it all together if you wish. Bottle the vinegar. This makes two full 375 ml and one half full bottles. I always assume the partly filled bottles are the chef’s reward? Homemade vinegars will last for many months on the counter and even longer when refrigerated.